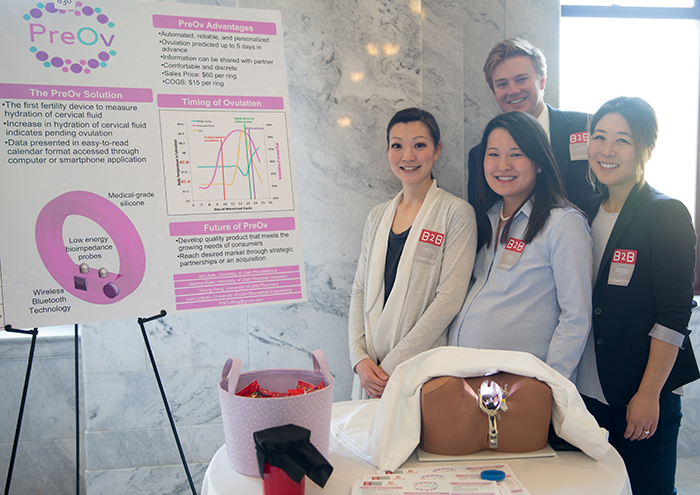 Student teams begin in the fall by forming into multidisciplinary start-up companies as they identify unmet clinical needs. In addition to supporting organic student ideation, Bench to Bedside offers a process to assist matching of qualified students to ideas submitted by local healthcare professionals, to maximize the innovation pipeline. Teams then innovate over a six-month period how to meet these needs using a $500 development fund to build concepts. Through the Bench to Bedside Program, each team has access to over 100 University Physicians from a broad range of specialties as well as engineering and business professionals from the Salt Lake community to serve as consultants, key opinion leaders, and stakeholders. In that six-month time period, students will have evaluated the IP landscape, proposed their product offering and constructed a business plan.